Tonight we had a little Christmas Party at home for the youth group we host. 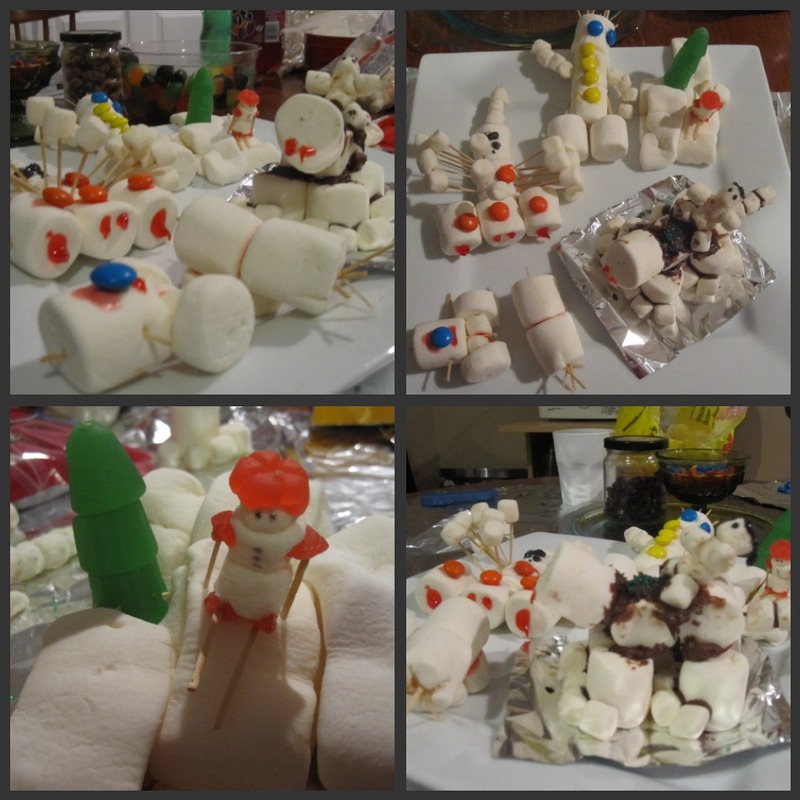 Part of the fun was handing everyone marshmallows and various decorating items for them to make their own snowman. Well, snow-creature would be more accurate. These were mine. Look, she's skiing! This snowman riding an abominable snow cat of sorts won the prize! Of course, it's not a party without a tacky Christmas sweater. I started this one this afternoon. I plan to add to it throughout the holiday season. Any and all suggestions are welcomed! More glitter is on the way! I saw this website the other day and it cracked me up! 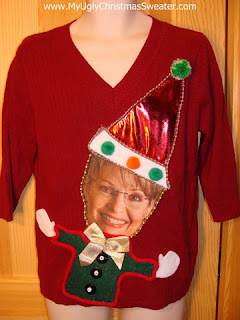 Check out their Sarah Palin sweater! I hope you all are enjoying the holidays, whatever your beliefs. Tell me, what traditions are your enjoying this time of year? Are you starting any new ones? Are you proudly wearing ugly clothing? If so, I want pictures! What's a youth group? We don't have a tradition of wearing funny sweater, but I think I can easily start that this year. 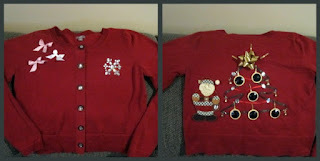 I have a couple of really ugly sweater (that I adore) and that I just can't throw away...they can be my new Christmas clothes! haha I am always threatening to host a tacky Christmas sweater party, but this means I have to buy a sweater first. lol That Sarah Palin one is hilarious! Setting up our tree and decorations tonight, finally! @ Bobbi, we invite a group of teenagers from our church into our home each weekend. We have devotional time, hang out, and play wacky games. 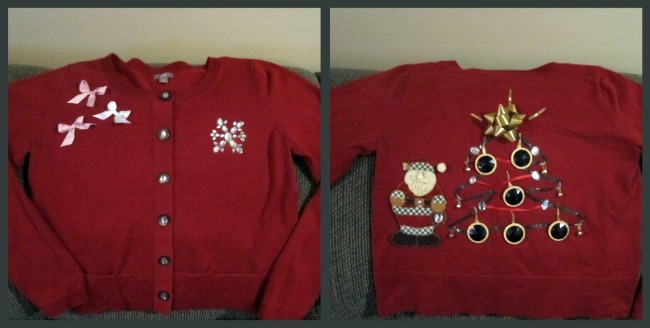 And yes, you should totally start a Tacky Christmas Sweater tradition! You could even sell them in your store! youth group sounds interesting. There is nothing like that around here...I guess. I could start my own, there are a few buddhist kids in my town.